The OECD’s Development Assistance Committee (DAC) conducts periodic reviews of the individual development co-operation efforts of DAC members. The policies and programmes of each DAC member are critically examined approximately once every five years. DAC peer reviews assess the development co-operation performance across government of a given member and examine policy, finance and implementation. They take an integrated, system-wide view of the development co-operation and humanitarian assistance activities and seek input from a wide range of stakeholders – civil society, parliament, private sector and partner countries. 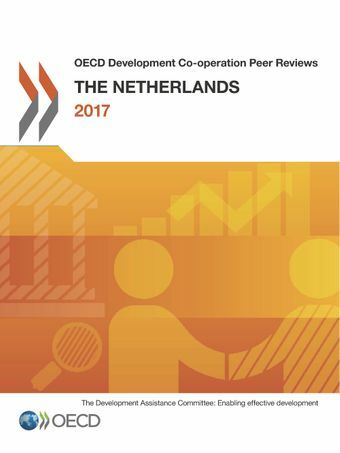 This review assesses the performance of the Netherlands, including looking at its integrated aid, trade and investment policy focus, and its approach to partnerships. At the end of 2014, the Netherlands set up a relief fund of EUR 570 million to run until the end of 2017. This was additional to the existing Dutch humanitarian aid budget. The fund allowed for multi-year planning and funding, while also allowing greater flexibility to both the Netherlands and the fund’s recipients. Total contributions to NGOs and international organisations from the relief fund (EUR 450 million) cover multiple years and are mostly unearmarked or softly earmarked. The remaining EUR 120 million are available for urgent needs. This allowed the relief fund to make extra contributions to humanitarian aid in the most severe emergencies during 2014-17: Syria, South Sudan, the Central African Republic, Iraq, and the Ebola outbreak. As soon as an emergency developed, the government decided which aid agency was best placed to provide humanitarian aid – the UN, the Red Cross, or an NGO – on the basis of their quality, effectiveness and access. At the end of 2016, the Dutch Relief Fund was replenished with EUR 48 million. Read the peer review's chapter on the Netherlands' humanitarian assistance.